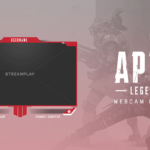 This Call of Duty Black Ops 4 inspired webcam overlay is designed with subtle, stealthy-like corners that really make this overlay a thing of beauty. 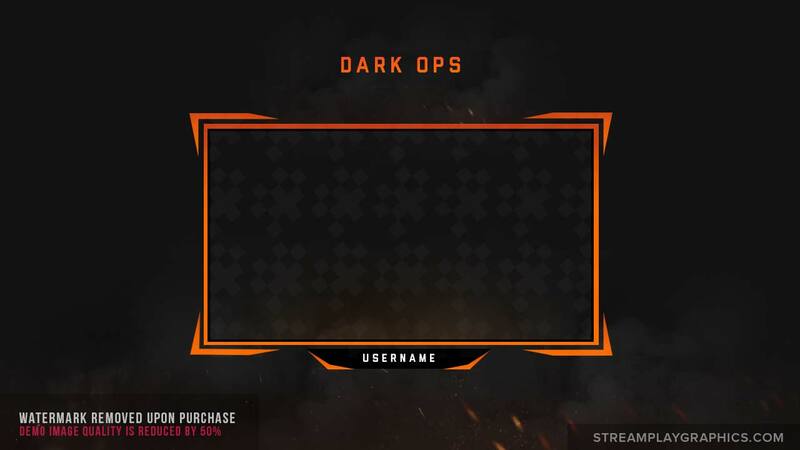 While it is inspired by Black Ops, that doesn’t mean you can only use this cam overlay if that’s what you’re streaming. With a simple color change, you can truly make this overlay match your style. Looks great with any game you decide to stream! 1. 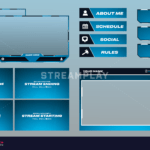 Download Default Overlay (+PSD Files) – If you don’t need any customizations (color/text), or want to make the edits yourself then this is the option for you. 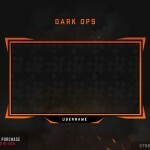 With this option you’ll be able to instantly download the default version of the Dark Ops Webcam Overlay that will look exactly like preview image above, as well as a PSD file for you to customize yourself. I’m happy for the price and the outcome. Definitely going to buy more and they are easy to work with. Solid work, comes in the advertised resolutions, I wish it was a vector image so I could resize it myself but still really pleased. Great, clean, and relatively fast. Looks clean and was relatively inexpensive, would recommend. Streaming is just a new hobby for me. 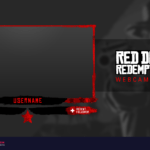 This makes my Twitch channel look super clean.